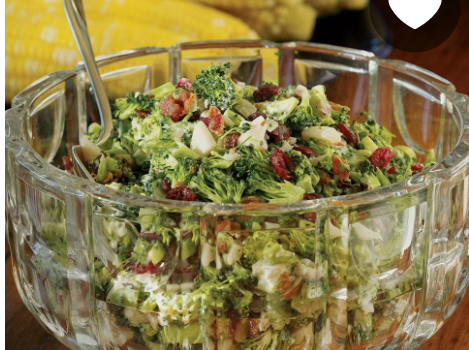 With broccoli coming into season soon, this broccoli and bacon salad will make a healthy and delicious side with most main dishes. 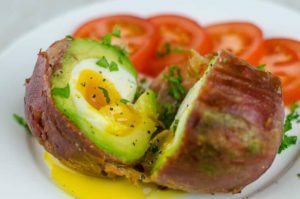 You can find the full recipe here. I love the idea of the dried cranberries to add a tart balance to the creamy dressing. You know, I’d probably quickly blanch the broccoli. Sure it’s nice to be super crisp, but you do have the water chestnuts for that. I think very lightly cooked broccoli can be just as crisp in texture and is easier to eat as well as digest. You could also cook it very lightly in your microwave. If you do, just make sure the salad has time to cool down before you mix it with the dressing. I love buying pre-made broccoli slaw from my local Trader Joe’s. You can mix it with some shredded cabbage for a more traditional tasting coleslaw. You can mix it with a variety of dressings as well so you’re not just having to do the standard three coleslaw dressings (buttermilk, mayo and sour cream). Here’s a lovely lemon dressing recipe. And this broccoli slaw recipe uses a touch of lime juice. If you want more protein, here’s a recipe for a quinoa and broccoli slaw salad with a honey mustard dressing. And finally, here’s a paleo friendly broccoli slaw recipe.